Attractions in the Sealy area. Of course if you're a history buff, you can't ignore the short trek to SanFelipe and the other historical Sealy sites, but there are other attractions around the Sealy area that make for great visits. One of the last Painted Churches built in Texas, construction started in 1913 and was completed on October 21, 1915. It is believed to be one of the oldest and largest solid wood structures of its type in Texas. 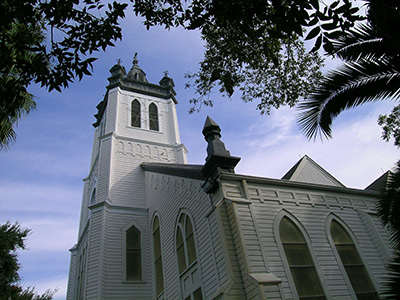 This church, in Gothic Style, was designed by architect Leo Dielman of San Antonio and was built by Jan Bujnoch of Wallis with the help of parishioners who volunteered their carpenter skills. 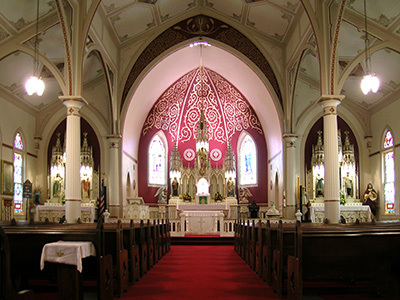 The interior is newly painted artistically while keeping the ornate altars as close as possible to the original design. The leaded, stained glass windows were created in Italy. There are three brass bells in the tower. with a historical marker dedicated in 1996. 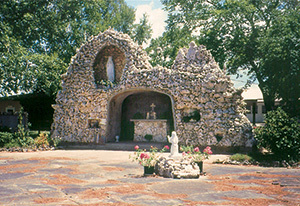 The church is opened daily, with group tours by appointment 979-478-6532. Czech immigrants began settling in this area in the 1850s. The cemetery remains as a reminder of the area's Czech heritage. who served in World War II, all of whom returned home. on the small fourth floor for a gallows which was used only once. entered on the National Register of Historical Places in 1980. 36 S. Bell Street in Bellville. Open Saturdays and by appointment. 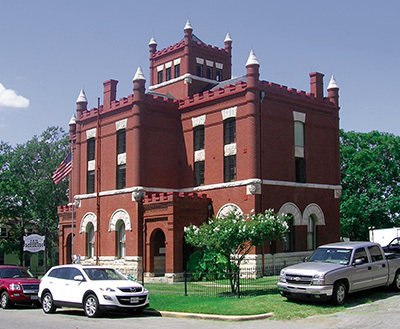 Built in 1897 by local contractor Joachim Hintz, the Turnverein pavilion is one of several polygonal social halls built in Austin County during this era. Used as a social club by the German immigrants living in the area, this 12-sided structure required extra long lumber which was shipped directly from the mills. 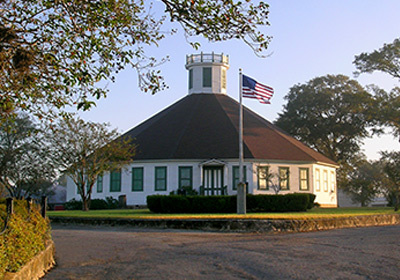 It was recorded as a Texas Historic Landmark in 1996 and continues today as a focal point for many community events & gatherings. Interior tours by appointment only. a one-of-a-kind custom creation hidden just outside of Bellville. 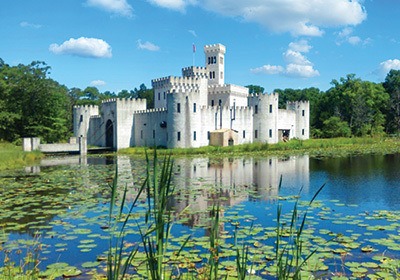 The castle features a moat, a massive working 3,000 lb. drawbridge with an accompanying portcullis, five round corner turrets, a courtyard, a chapel, and a central keep with a dramatic view of the surrounding scenery. Available for group tours and special events, by reservation only. birthday parties, and other special occasions. 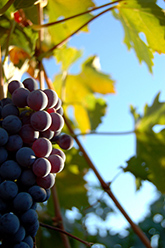 Surprising to most, Austin County is home to several growing vineyards. and Austin County is doing it’s part to help spread this romantic industry. Our fertile soil has been found to be very favorable in growing grapes as well as regular crops, and Texas wine growers are finding Cat Spring a great place to hold annual meetings concerning Texas wines. You can visit Yellow Brick Road Winery that offers a wide variety of Texas wines as well as their own in a relaxing setting, owned by a true wine aficionado and an Academy Award-winning composer and Cast Iron Winery just on the other side of Sealy.